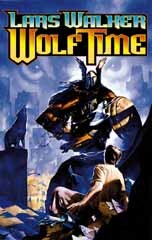 The good people at Baen Books are selling my early novels. Buy them here, and consider giving them as gifts to your discerning family and friends for whatever holiday is just around the corner. All of the novels are available here. Besides being a novelist, Iâ€™m a Norwegian translator. Iâ€™m very proud of the recently released work, Viking Legacy, by the Norwegian scholar and historian Dr. Torgrim Titlestad. 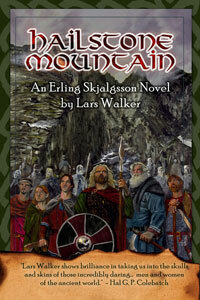 Hailstone Mountain is an H. Rider Haggard-esque story, in which Erling is struck by a curse that could kill him slowly. In order to break the curse, he must sail north (along with Father Ailill, Lemming, and others) to confront the source of the magic face to face. Meanwhile, Lemming’s niece Freydis is kidnapped by her relatives from up in Halogaland, and it’s not a nice kind of family, so she must be rescued. And that sets off repercussions that could destroy the whole country. 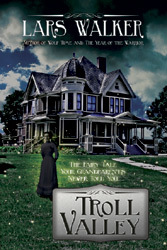 Erling must join forces with a bitter enemy to stave off a monstrous horror. Chris Anderson has everything. He’s the son of the richest family in town. He lives in a beautiful, loving home. He even has a fairy godmother. Chris Anderson also has nothing. He was born with a deformed arm, and when he gets angry he sees visions that terrify him. At the turn of the Twentieth Century, in a nation wrestling with faith and science, tradition and change, Chris will be forced to confront his own nature, and learn the meanings of freedom, love, and the grace of God. 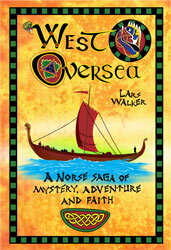 West Oversea: A Norse Saga of Mystery, Adventure and Faith--In the year 1001, King Olaf Trygvesson is dead, but his sister’s husband, Erling Skjalgsson, carries on his dream of a Christian Norway that preserves its traditional freedoms. Rather than do a dishonorable deed, Erling relinquishes his power and lands. He and his household board ships and sail west to find a new life with Leif Eriksson in Greenland. This voyage, though, will be longer and more dangerous than they ever imagined. It will take them to an unexplored country few Europeans had seen. Demonic forces will pursue them, but the greatest danger of all may be in a dark secret carried by Father Aillil, Erling’s Irish priest. 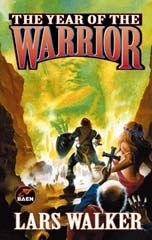 The Year of the Warrior--GOD WILLS IT! It all started with a Viking raid: When he is captured and forced into slavery, Aillil the Irishman must pretend to be a priest or die. Better to be a high-value priest than a low-value corpse, he thinks, and so it happens that a failed novitiate (he loved women too well) is taken up by Norway's first Christian lord, Erling Skjalgsson to bring the Word to his people. Ironically, though "Father" Aillil is as phony as a three-dollar psalm, he and he alone must convert a fiercely pagan people to the gentle teachings of Christ - and they don't want to hear about it. Nor do their "gods," who are all too real, and all too liable to do something horrible to those disturbing their divine peace. Publisher's Note: Part of this novel was previously published as Erling's Word. Blood and Judgement--All Will Sverdrup wanted was to play Hamlet in an amateur production. He never counted on getting sucked back in time, into the body of the original, historical Hamlet in 6th Century Denmark. His fellow actors (along with the real Hamlet) never expected to be transported to an alternate universe where Shakespeare's play was real -- with them perfectly placed to live (and die) their parts. But that's what happened. Now they have to decide -- do they play their roles out, all the way to the bloodbath at the end, or do they try to break the play and save their lives? Visit my author page on Amazon to see what other readers are saying. There's something unnerving about the October north wind. It makes a wolf in the wilderness turn southward, in search of dangerous prey. It gets inside people's ears, opening their minds to bizarre ideas. It gets under their skin, inclining them to violence. Of course there's the comet too, a spectacular one, tracked by ordinary people in back yards, and not-so-ordinary cult members at the top of a makeshift observatory.